This westbound Chesapeake & Ohio transfer run through Chicago's Pullman Junction is actually on Rock Island rails; the C&O had its own tracks as well through the junction to the right of the train. 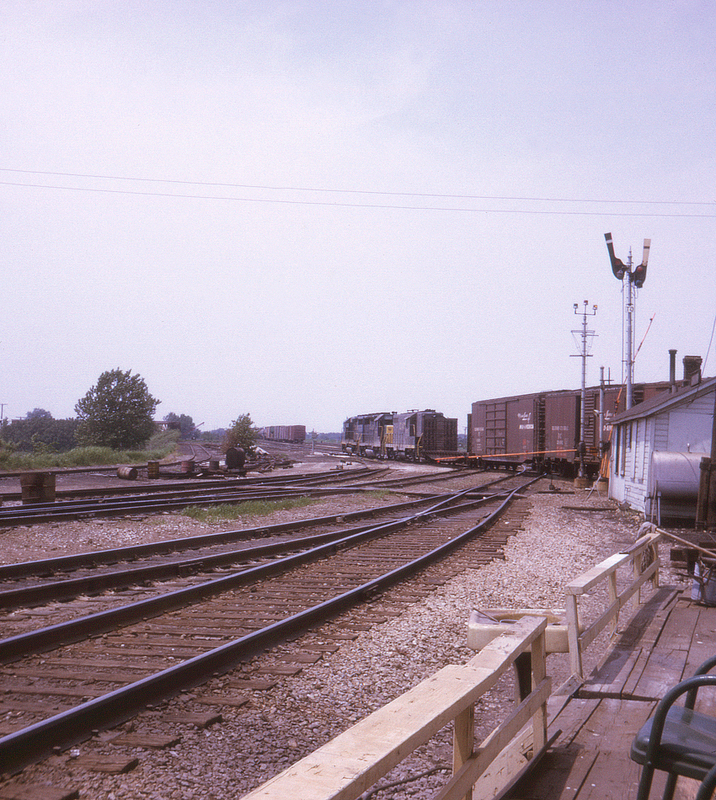 In the foreground the former Nickel Plate Road (now Norfolk & Western) connector curves to the left and the Chicago & Western Indiana crosses the Rock Island's line at grade. Note the gates used to control traffic through the junction; the semaphore signals indicated the availability of train orders and were not interlocking signals. The small white building next to the train order signals is the junction's tower.